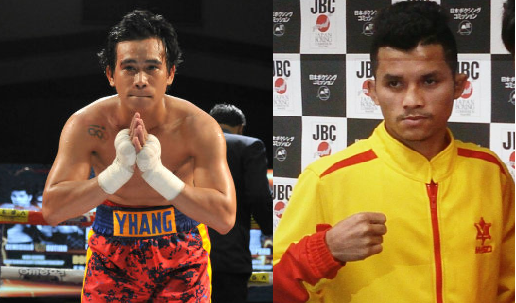 Filipino Olympian Mark Anthony Barriga will now fight for a regional title on September 29th in Beijing, China. Bariga will face the top Thai boxer Wittawas Basapean. Barriga who just started his career last year is now has a record of 6W(1KO)-0L. The 24 years old boxer is from Panabo City, Davao del Norte, Philippines is now making his name in the minimum weight division. This fight will be his 1st fight outside the Philippines and first fight against non-Filipino boxer. On the otherhand, Wittawas Basapean is a 32 years old veteran boxer with a record of 33W(12KO)-6L. The Thai fighter is a former world title challenger but defeated by Naoya Inoue by TKO in 2014 and Akira Yaegashi via also TKO in 2016. He also fought some Filipino fighter including Denver Cuello, Jack Amisa, Randy Petalcorin and more. Basapean also a veteran fighting outside his country and won many regional titles in his career.